Pollution, stress, or simple genetics – all these factors can lead to problems with your skin. Dark circles, dark spots and blemishes not only makes one look dull but also older. Who doesn’t want to look young? Concealers are your best friend when it comes to hiding these problem areas on your face. The Brush-on concealer comes in a pen style applicator with nylon bristles. The rotating mechanism at the bottom dispenses the right amount of product. It is liquid in texture, which blends easily into the skin. The concealer does not settle into fine lines and does not fade with time. Kryolan Brush-on concealer is the best product for pesky dark circles. It comes in seven colours, including a bright orange one. 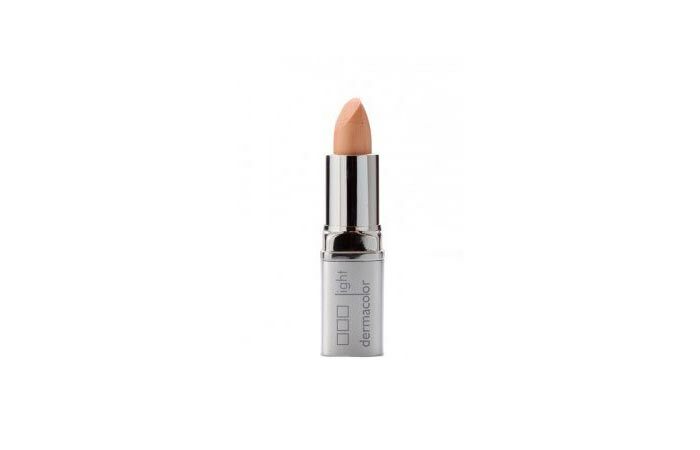 The Dermacolor camouflage cream comes in a round and handy packaging. It is highly pigmented and is especially designed to correct and cover skin discoloration, blemishes, scars, pigmentation, and even tattoos. 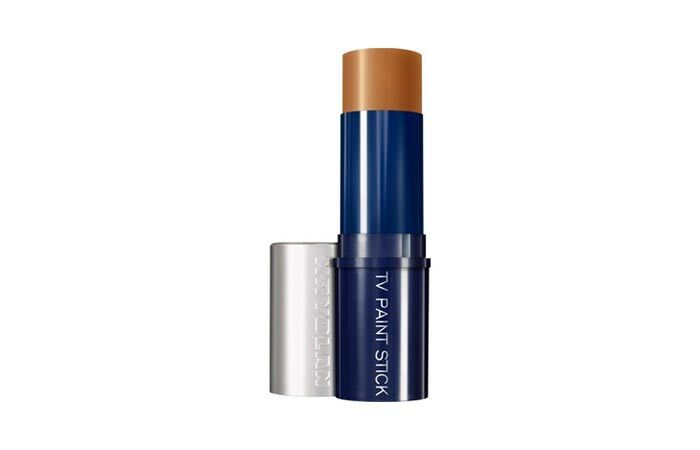 The texture is creamy and spreads evenly to provide a full coverage. It is available in 75 shades so you will easily find a perfect match for your skin tone. It will stay for more than six hours if set with a compact. 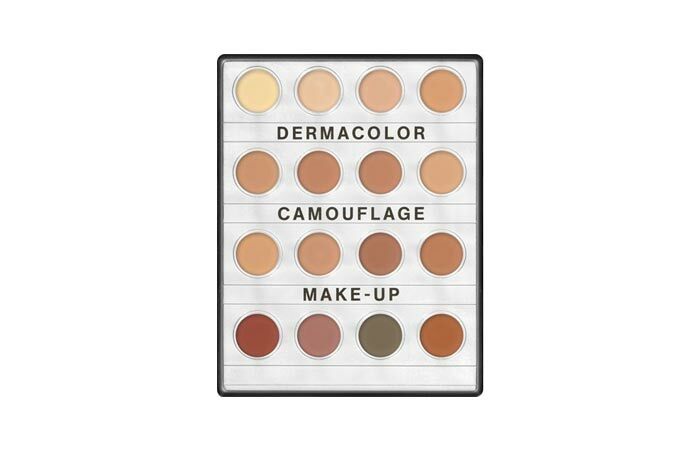 The KryolanDermacolor camouflage crème mini palette has 16 different shades and is ideal for professional use. There are a total of eleven palettes, each containing 16 different colour correcting shades. This mini palette contains six different shades, which you can customize according to your skin tone. 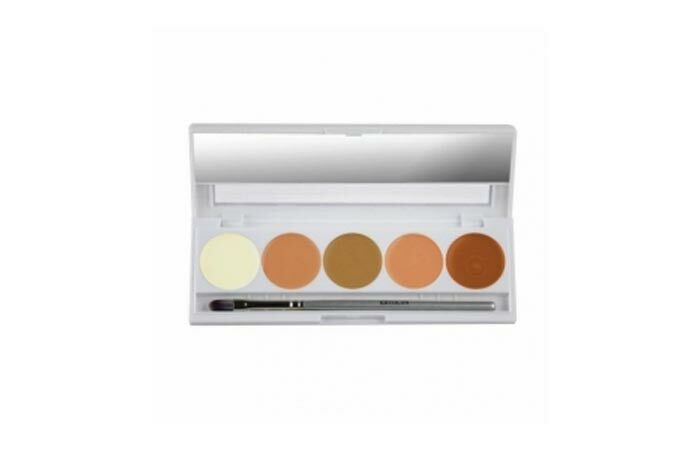 The concealer has a dry and stiff formula, making it perfect for under eye dark circles and blemishes. It has a good staying power and doesn’t get streaky or cakey with time. 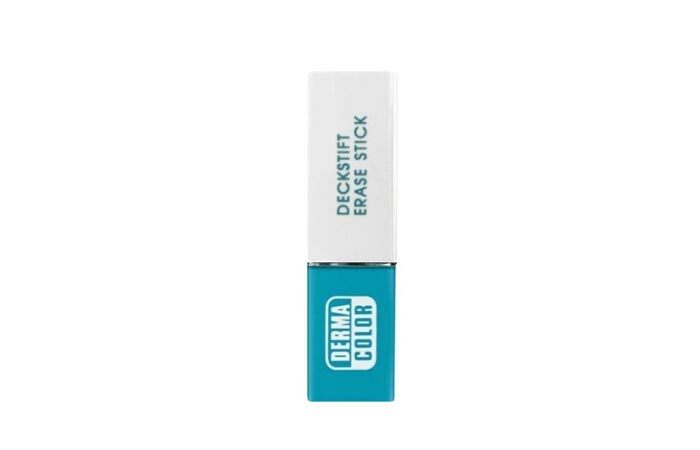 The Dermacolor light concealer stick comes in a sleek, silver packaging. The product covers spots and dark circles effectively. The coverage is medium to opaque and works well on blemishes and rosacea, which require extra concealing. The product is highly pigmented, so use it sparingly. 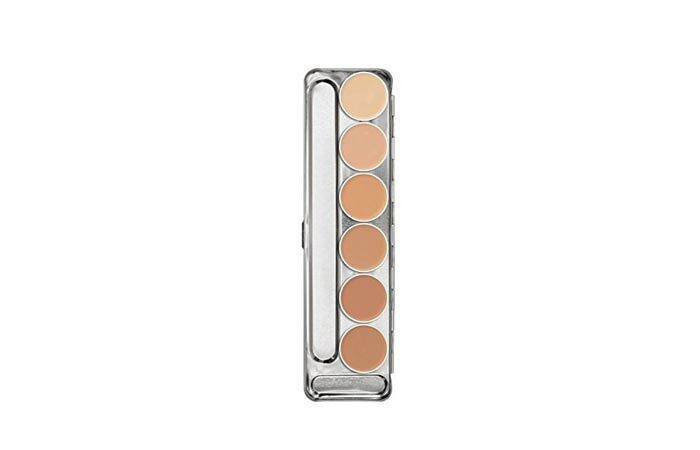 The Dermacolor light concealer comes in five different shades, suited for every complexion. 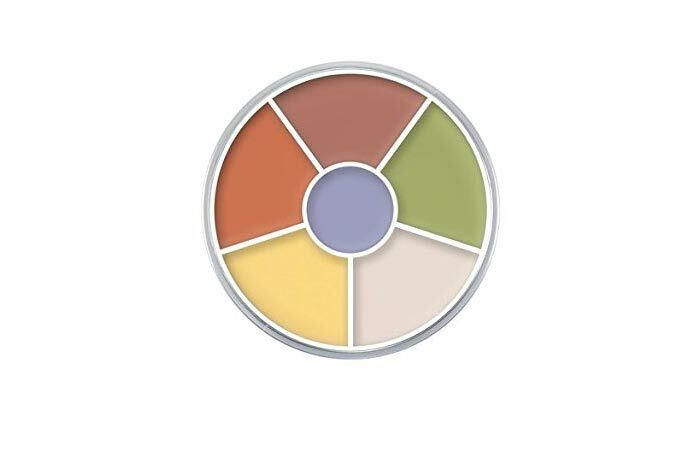 The Kryolan concealer palette or circle comes with six different shades, which effectively covers the discoloration of the skin. The shades are highly pigmented and you need a small amount to get a decent coverage. The product is available in several colour combinations so you can select one according to your skin tone. 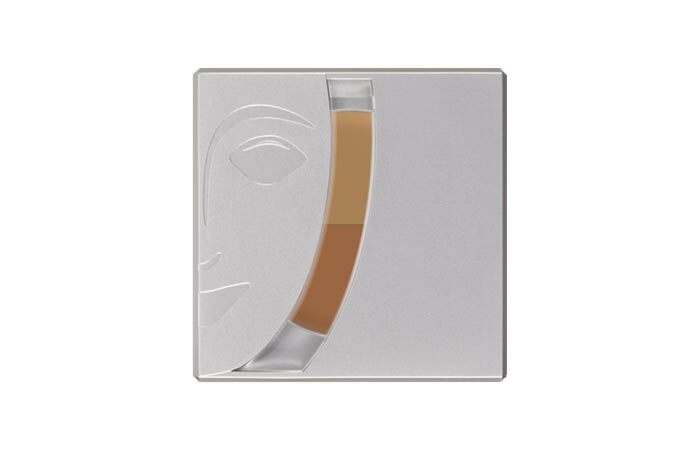 The Concealer cube is an effective concealer with an innovative concept. This highly pigmented, oil free concealer is integrated with Bisabolo, a skin soothing component. 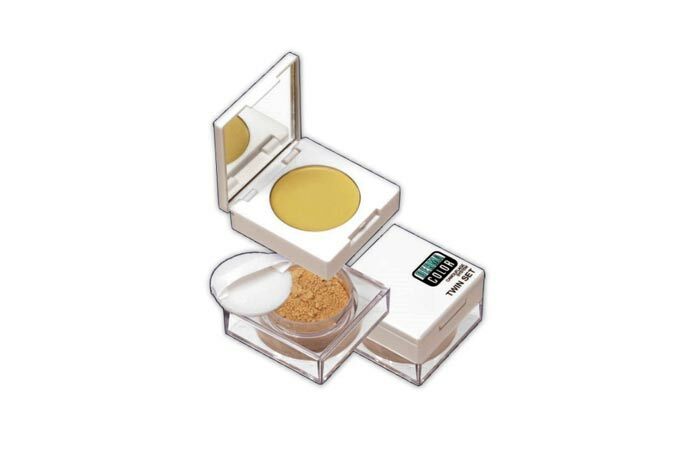 The cube contains two different shades of concealer and a fixing powder. You can mix both the shades to make a perfect shade for your skin tone. 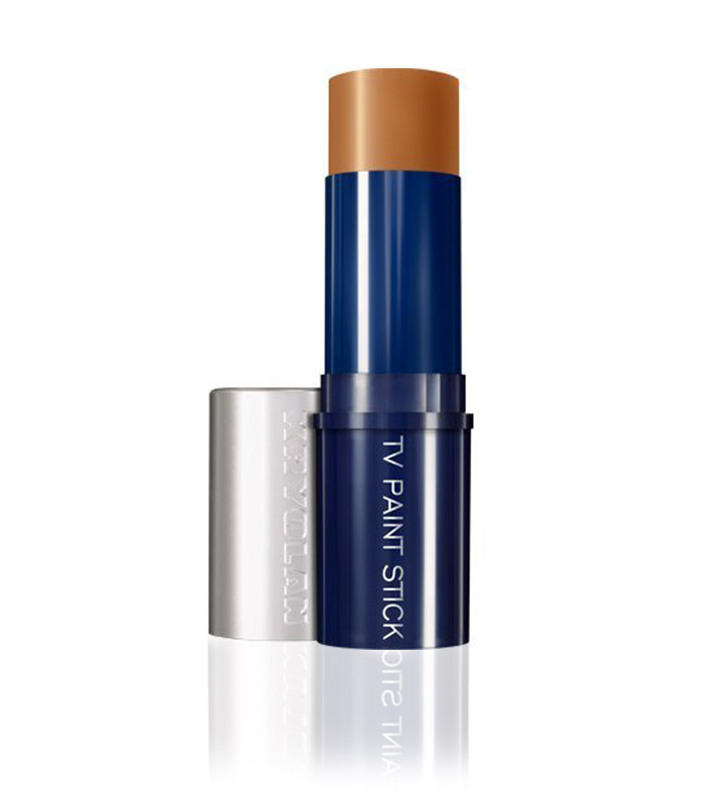 The Kryolan TV pain stick concealer is best for concealing skin blemishes and acne scars. It comes in 25 colours. The orange shade is perfect for Indian skin tone and for those who have heavy shadows around the eyes. It conceals acne scars and hyperpigmentation perfectly. 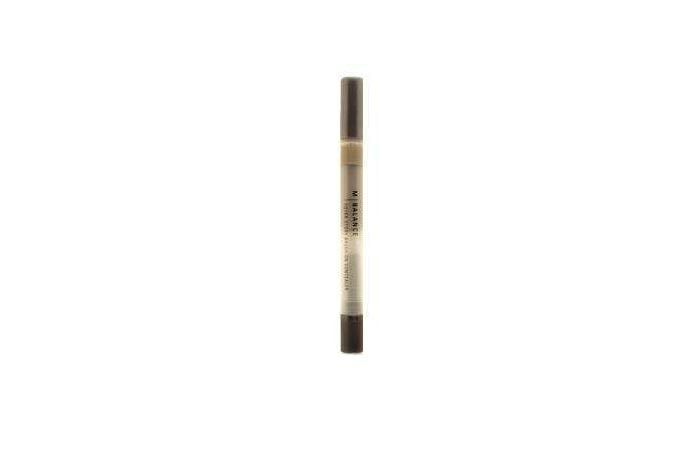 The Camouflage crème erase stick comes in a practical, twist-up tube. 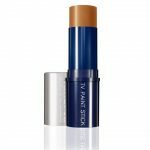 It is a light weight concealer and does not melt in the sunlight and humidity. 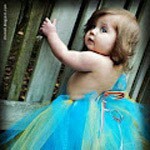 It is high in pigmentation and covers up all the skin imperfections like scars and dark circles easily. It comes in 75 colours so you will surely find a perfect match for your skin. The Dermacolor twin set consists of a camouflage crème and a fixing powder. The crème covers skin pigmentation, under eye dark circles, and spots effectively. The fixing powder is finely milled, which sets the crème and helps it to stay all day long. While selecting a skin care product it is important to choose wisely. When it comes to a concealer, it is important to pick a product that not only hides your imperfections but also nourishes your skin. The Kryolan concealer gets thumbs up from us for meeting both these requirements perfectly!